A view north from the Colonsay to Islay ferry, returning from an excursion to Colonsay with the Islay walking week. A heavy rain shower is falling over the sea, also giving us a tiny rainbow. 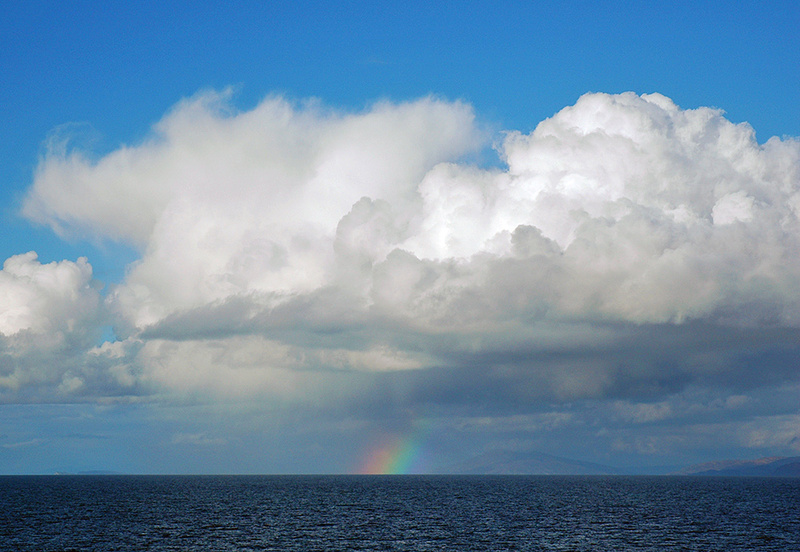 This entry was posted in Cloudy Weather, Colonsay Excursion, Landscape, New Post, Sunny Weather and tagged ferry, Jura, rainbow, Scarba by Armin Grewe. Bookmark the permalink.